Welcome to the website of County Accounting – self employed and small business bookkeepers & accountants in Southampton. We have been bookkeeping for over 20 years – it’s what we excel at. From a bag of receipts (or neat and tidy records) – to a complete Trial Balance, we enjoy the challenge of tracking down every penny to balance your books. For small businesses (SMEs) and self employed clients we provide a complete bookkeeping and accounting service including Payroll, VAT & CIS. If you use a chartered accountant we will happily work with them or if you need one, we work with a few who can step in to help. You get on with business and trust a helpful, experienced team to take care of your accounts. We have a strong client base of small businesses and self employed clients who have stayed with us for many years because we offer a more personal service and devote our attention to the bookkeeping and accounting needs of your business. Stationary – Business Cards, Letterheads, Compliment Slips etc. Our accountants and bookkeepers have many years experience helping small businesses and self employed clients in the Southampton area. We’re happy to say our bookkeepers prepare accounts for builders, sub-contractors, contractors, taxi drivers, hairdressers, eBay sellers and many more. 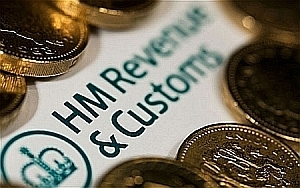 Sub-contractors should really consider completing a Tax Return to claim a tax rebate as soon as possible. It could pay for a holiday or all the Xmas shopping! Contact us to discuss your needs and requirements and we will do everything we can to help. If you are starting out as self employed or thinking about starting up a small business you will need to keep your accounts in order. This is where bookkeeping comes in. Bookkeeping is the process of keeping records in an organised and accurate way. You need to make sure you keep receipts for every purchase that is for business purposes as well as keeping copies of every invoice you send or a record of every sale you make. We understand that for every self employed person or small business the most important thing is to make sure that work is being done. Sometimes bookkeeping and accounting gets left until the last minute and sometimes after that! As long as you keep all of your receipts, invoices, sales records and bank statements in order our bookkeepers based in Southampton will be able to prepare your accounts and provide you with the information you need to make sure your tax is paid on time or claim a tax refund. Some people like to keep very accurate records which means less work for accountants. Some people keep all their receipts in a box or a bag and sometimes in no particular order! We are happy to work with all types of client and do whatever is necessary to prepare accurate accounts. 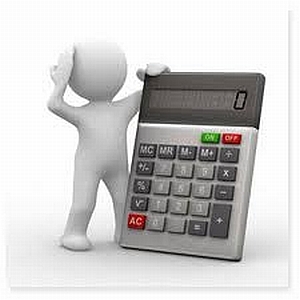 Unlike some accountants, if there is less work for our bookkeeper to do, we will actually charge less too!